Q - Should I buy my land before contacting a builder, or talk to a builder before I buy land? A - As a custom home builder, most of the time we work with clients who have already purchased their land and we build on their block. However, it can benefit you to contact a builder whilst you’re still looking at land, as he can help you get a better idea of the costs associated with building on that specific block of land. (When looking for suitable blocks remember that gentle sloping blocks or flat blocks are generally easier and more affordable to build on). Ultimately though, the land you end up with will dictate much about the design of your home. So while it may be obvious that we can’t start building a home until you have a place to build it, what might not be so obvious - but is just as important to know - is that we really can’t design a home either until we know exactly what kind of building conditions we will have. Q - Do I save money by choosing an existing set of plans instead of going through the process for a custom design? A – We hear this all the time, and it’s a great question! It can cost a few thousand dollars to have a custom set of plans drawn up for your home, and so some people ask themselves the question: “Why don’t we just choose a set of existing plans that have already been built in the past? I’ll be able to save time on having one designed, having to create something from scratch & I won’t have to pay for a custom design.” While this is a perfectly logical assumption, our experience over the years has shown that the cost savings between creating a custom design vs choosing a generic home plan is basically nothing. And here’s why: generic plans are designed to fit a “general” list of requirements to appeal to as wide an audience as possible and with a plan that’s generic, you’ll find yourself trying to fit your family and your lifestyle into a home that wasn’t designed with you in mind. But as in the same way that there are many different shapes and sizes of cars to fit different lifestyles, you want to find the best fit for you. With square metres costing you around $1000/m2, we’ve often found that there is a lot of wasted space in generic plans that we can completely avoid in a custom home, saving yourself thousands of dollars! When we begin our design process with a new client, we don’t ask “do you like floor plan A, B or C?” - instead, when you sit down with us we’ll ask you a series of questions and through these questions, we will design a floor plan that works for you, creating a home designed with you in mind & with no unused features or wasted space. Q - If I enter into a Preliminary Agreement, do I have to sign a building contract with that builder? A - No, you don’t have to sign a building contract with that builder. A preliminary agreement is a separate contract signed by you and the builder to carry out the preliminary work only. The type of works usually defined on this agreement can include things like soil tests, site survey, plans & engineering preparation and sometimes even to find out if your land is flood prone or in a bushfire attack zone (Although you may have a contract for the builder to carry out preliminary work you may not have a right to use the plans with another builder for reasons of copyright. If you decide to build with another builder then you may be required to purchase that copyright to proceed). Some preliminary agreements give the owner a discount if they proceed with that builder. Q - Does your builder hold a valid licence? A - The registered builder is ultimately responsible for your new home & just like a motorist needs a valid driver’s licence to legally get behind the wheel, a house needs a licensed builder.  Before doing anything legally binding or paying any money, check your chosen builder holds a licence with the QBCC (Queensland Building & Construction Commission). Secondly – Talk/meet directly with the Builder. Rest assured when you call Comfort Homes you will be dealing directly with the builder himself, not going through staff members or getting the run around. Our Managing Director & Builder, Ricky Paroz is a “hands on builder”, he is not only the master builder but he is also the site supervisor & leading hand Carpenter, physically constructing and overseeing all stages of every project. Comfort homes also ensures Suppliers and all Tradesmen are fully licensed & insured, guarantee their services, use top quality materials and are local to the area. Each contractor is hand-picked for their skills, eye for detail, reliability and pride in workmanship. Q - How can I be confident the builder is experienced & reputable? A - Have you seen other finished work of the builder’s? Have you spoken to past clients to find out if they are satisfied with their homes and the builder? As part of your due diligence, just like researching any property purchase, ask to speak to previous clients or request a tour through one of the builder’s homes – one currently under construction or already completed and look for evidence of quality workmanship. Q – What is included with the quoted home price? A – Most project builders will quote you a base price and you need to understand what is - and what isn’t - included in the quoted build price. Sometimes a house on show at a display village can cost almost twice the base price, so ask the builder as many questions as possible. Some builders also may not include some site works or features including floorcoverings, landscaping, driveways or air conditioning and once you add in these costs, now the low price doesn’t look so great! Most reputable builders will include majority of these costs in their base price but it’s always worth asking the question. Where these features are in the price, understand what exactly is included. Landscaping may consist of some turf while the driveway may just be a concrete slab, not the textured finish you had in mind. Decide what is important to you in terms of finishes and make sure you understand how that might impact on your budget. Make sure you receive quotation with an itemised specifications/inclusions list and as difficult as it is to compare, read through thoroughly to ensure you are comparing “apples with apples”. Keep in mind the cheapest quote is never the best and when you’re spending your hard earned money, take your time and don’t be rushed into signing on the dotted line. Q – What about the freebies some builders are offering? A – ALL gimmicks and giveaways offered by builders are designed to get you in the door and committed to building with them. We’ve all heard the marketing ploys… Free Ducted Air Conditioning, $5k Gift Voucher to every contract, No deposit required, Free Car to every 3rd Contract, Sign now for a chance to win $35k. These offers all sound exciting and extremely tempting when you are looking to build your new home but most of the time these costs are already hidden within the quoted price. If there is a giveaway or promotion offered by a builder, get a quote with a complete package price (with no hidden extras or price rises), then a comparative quote should be obtained to ensure that the full benefit will be received. Just remember - there is no such thing as a free lunch! Q – Do we get to select the building materials such as appliances, tapware, floorcoverings and other fixtures for our home? A – Absolutely! Here at Comfort Homes you will be able to fully customize your home to fit your budget and your tastes. We believe that building your new home should be an exciting experience so we work with you throughout this process to guide you and answer all of your questions (We can also accompany you when you visit our suppliers to help make your choices if you like). This personal approach, from the very first meeting through completion to our follow-up service ensures that you have maximum input into both the design and the inclusions of your new home. Q - What are Prime Cost items & Provisional Sum items? A - A Prime Cost item (PC’s) is an agreed, reasonable estimated allowance for building materials (fixtures and fittings) which you may not have selected at the time of entering into the contract. Usually, PC’s are one-off items, however they can relate to a large number of items. Examples may include oven, cooktop, dishwasher and bathroom items such as tapware, basins & bath. A Provisional Sum (PS’s) is an estimate price for items that include both material and labour of a particular part of the home which the builder cannot give a definite price for. The reason being the owner had not decided what they want at the time of entering into the contract. Examples are floorcoverings, kitchen cabinetry and landscaping. Q - Can we come on site whilst our new home is being built? A - Yes! Seeing your new home being built is exciting & visiting your home during construction is an enjoyable and rewarding experience. We will be working closely with you during that time and will provide you with regular on-site access to ensure that you stay involved and are able to inspect and provide feedback on each stage of the build. Q – When do we take possession of our new home? A – Handover takes place when all the building process has been completed. At this point you will attend a final inspection of your home with the builder. This will provide you the opportunity to thoroughly inspect our work and ask any questions and/or discuss any items which need to be addressed before you move in. Once all monies have been paid, you will be presented with the keys and are then able to move into your new home and enjoy the lifestyle you dreamed about when you made your decision to build with Comfort Homes. If you have not already done so, household insurance should be taken out at this point. Q - What kind of warranty do we receive and how long does it last? A - Our commitment to service and excellence in everything we do does not come to an end just because the construction of your new home has finished. At Comfort Homes we provide you with a 6 month maintenance service after handover. During this time, all you need to do is record any items you feel need attention and we will contact you to inspect and address these items at the end of the first six months in your new home. Also, most residential building work done in Queensland valued over $3,300 (including labour and materials) must have home warranty insurance. As part of the building process, it is mandatory for the builder to take out home warranty insurance. The builder pays a premium to the QBCC to insure the construction. The amount is included as part of your contract, and is paid before work begins. The work is covered for a period of 6 years 6 months from the date that the contract is entered and the premium is paid.